Colorado’s Senate race gets a credible Republican. Democrats: Panic! 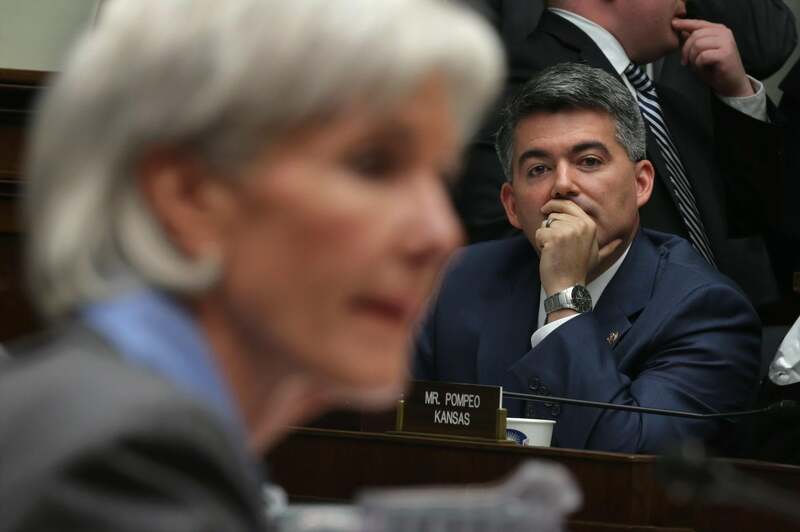 Colorado Rep. Cory Gardner carefully considers Kathleen Sebelius. Colorado Rep. Cory Gardner, elected in 2010, was instantly seen as one of his class’s natural talents. He defeated a Democrat who’d won the conservative environs outside Denver and Colorado Springs by a landslide. He gave off none of the eau de brimstone of some Tea Party victors. In 2013 he tried manfully (and in full view of the media) to find common ground on immigration. Later that year he faced down HHS Secretary Kathleen Sebelius in a hearing, asking her to explain his own family’s canceled plan and the ridiculous “brosurance” ads in Colorado. And now he’s running for Senate. Previously, I’d thought that Ed Gillespie’s run in Virginia was the ultimate Republican bet on the power of Obamacare to win elections this year. Gardner’s usurped that title. He’s giving up a safe seat to challenge a Democrat, Mark Udall, who’s carved out a good profile for himself (especially on NSA issues) in a state that went Democratic in 2008, 2010*, and 2012. Udall even felt safe enough to vote for Manchin-Toomey; months later, conservative activists successfully recalled two Colorado state senators who voted for gun control. Sen. Michael Bennet, the current chairman of the DSCC, isn’t going to cede this state. But he didn’t expect it to be a battleground in November. No Democrat did. Udall was supposed to be facing one out of a pack of conservatives with poor fundraising skills. Gardner makes this a race. Despite his slick Washington insider demeanor, Cory Gardner is just as extreme as Ken Buck, Amy Stephens and all the others. Gardner wants to decimate Medicare, slash education and even make common forms of birth control illegal. Gardner’s Washington friends may have helped him in the Republican primary, but won’t be able to hide his reckless and irresponsible Tea Party agenda from mainstream Coloradoans. *Republicans had a good year in House and legislative races, but Democrats held the governorship and Michael Bennet won a full term in the Senate.